Federal Premium Fusion Rifle Ammo for Hunting/Target. 300 Win Mag, 150 GR, Fusion Soft Point. Box price, 20 Rounds/Box. 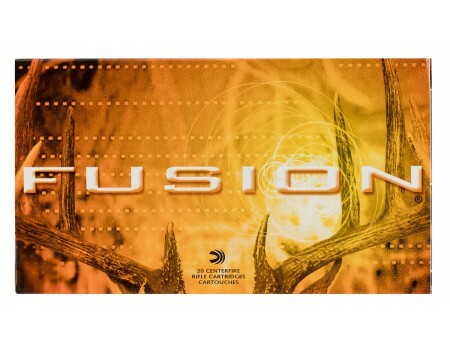 Fusion was the first rifle ammunition specifically built for deer hunting and its still the best, offering the largest expansion and highest weight retention in head-to-head comparisons against the competition. With a molecularity fused jacket and a pressure-formed core, Fusion transfers maximum energy on target.